In Pakistan, journalists’ woes have been one constant. Whether under civilian or military rule, the multidimensional challenges faced by journalists have remained the same. Indeed, journalists are living in a constant nightmare in the capital following cases of abductions and beatings; on some occasions, reporters have been targeted just because of their journalistic work. Journalists are trolled on daily basis and with the rise of the post-truth era has spawned accusations of fake news around the globe. Every other day we come across a piece of news that is labeled as true but turns out to be a complete bogus. She had shared the following image which was later removed from her account for the reasons she’s aware of. 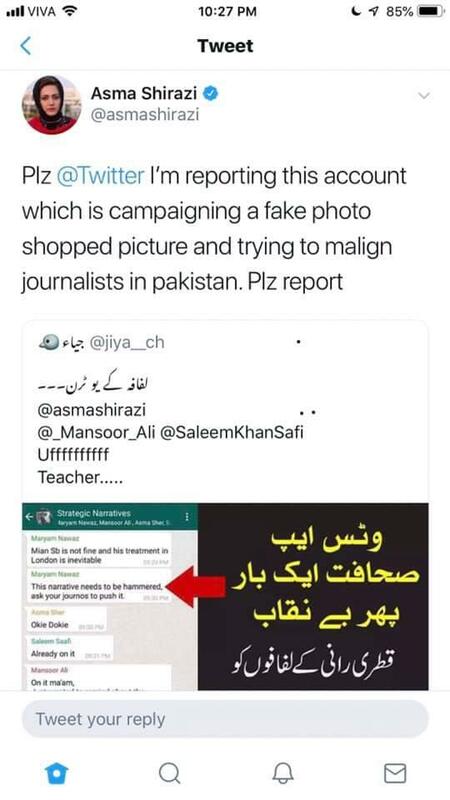 To the above caption, the below image was attached which was also had been removed from Twitter. One user questioned the authenticity of this screenshot. Does this Tweet make sense to you guys? But think about it as to why even it seems true even though it is in fact fake? There must be something these journalists have done fishy which makes it look real. 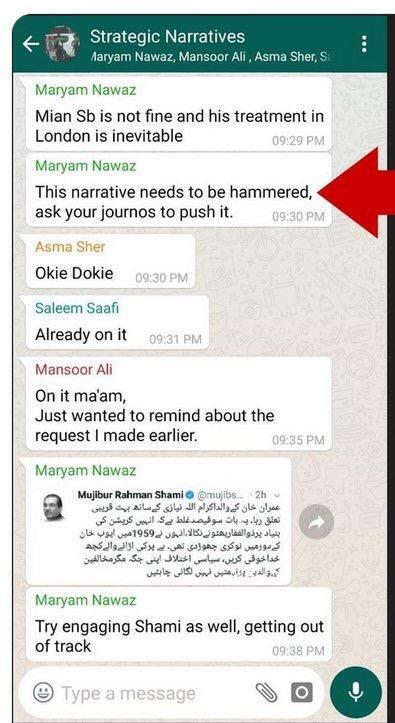 Shaheen sb honest to God these bloody anchors are fake rest is true. Umm care to venture your thoughts on this? Could this user be right? What do you think is going on? Is there even a slight possibility that this holds any truth to it? Above all, why was the Tweet removed from her account? What’s your take on this entire discussion? 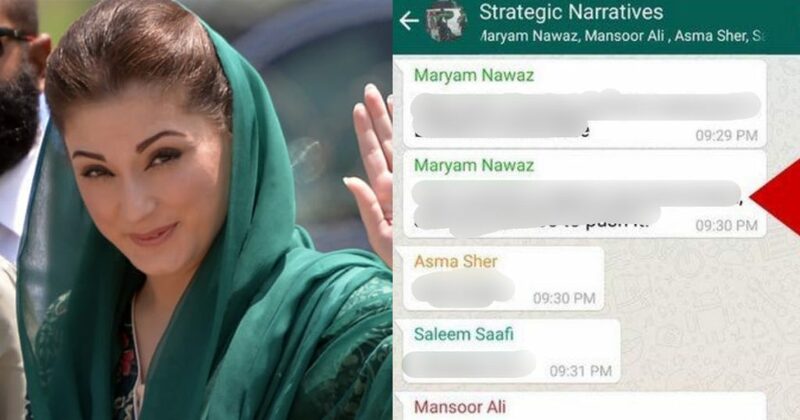 What’s the truth behind this conversation with Maryam Nawaz? Share it with us below in the comments.